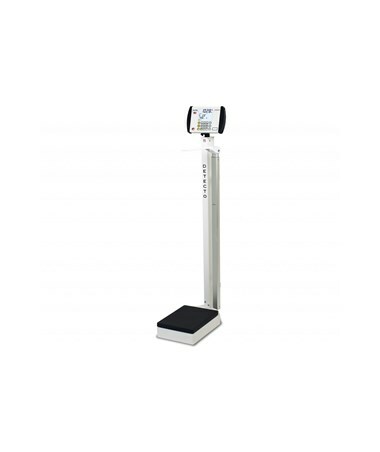 The 6437 Eye-Level Digital Physician Scale is a heavy-duty steel scale with a 500 lb. capacity. Manufactured in the USA, it was built for durability and meets the medical-grade accuracy required in professional settings. 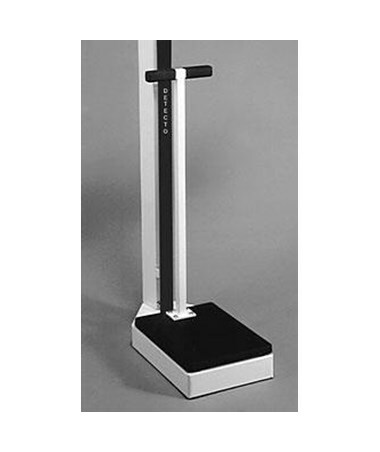 Weight and BMI are displayed, in standard or metric, by stepping on the scale; requiring almost no mechanical operations. The weight indicator is set at eye level for a comfortable and easy reading. 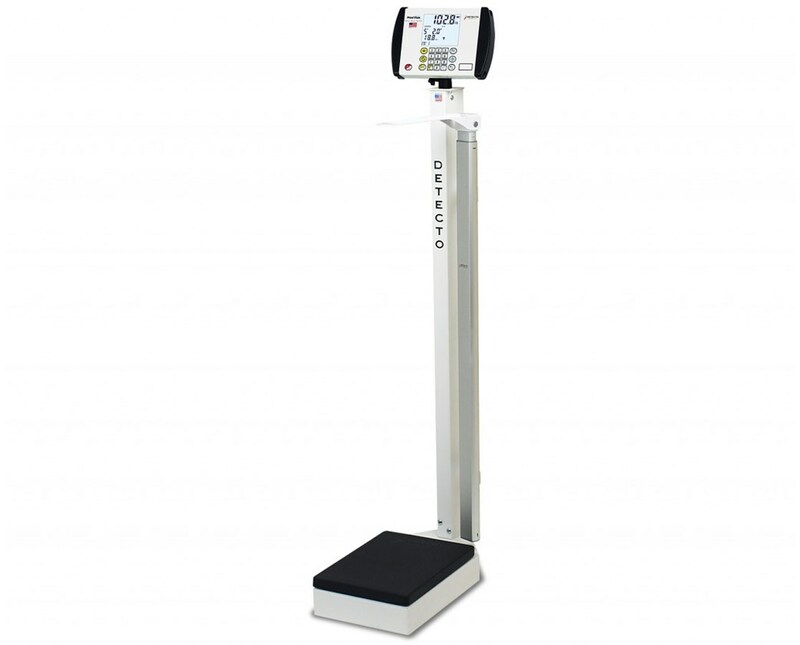 The scale features the all new MedVue Medical Weight Analyzer display. It has extra large weight digits displayed on a large blue backlit display. It has a 350 degree swivel mounting bracket so it can be positioned in many ways for easy viewing. The 14 digit patient ID can be entered on the alphanumeric keypad. The keypad features simple navigation and allows for data input and updates in four different languages - English, Spanish, French, German). MedVue® is versatile, with options for WiFi and/or wired or wireless Ethernet connectivity (sold separately), standard RS232 serial and USB ports. 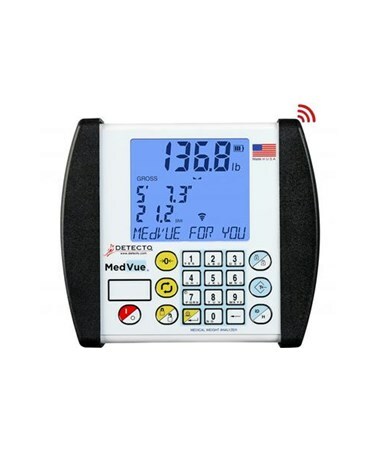 The MedVue is excellent for connection with various devices such as tablets, printers, PCs, networks, EMR/EHR systems, bar code scanners, and even cellular phones. The device may be connected using more than one of the ports simultaneously for efficiency. Detecto's StableSENSE digitally filters weight input for an accurate display despite patient movement. MedVue®'s high-capacity memory stores 200 transactions and 99 tare weights. The device boasts made-in-the-USA quality and durability for long life and flawless operation. 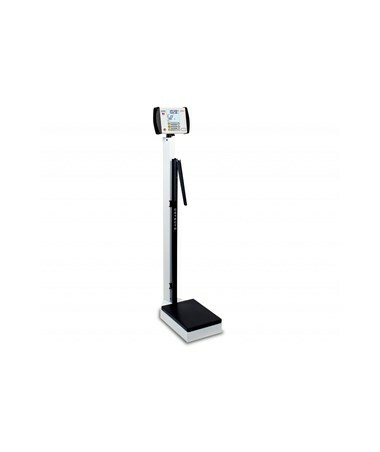 The Made in USA, Eye-Level Digital Physician Scale is available with models featuring a height rod and handpost. The height rod is black with white numerals and is graduated in both inches and centimeters. The Handpost is a useful aid for patients who require more stability while standing. Select model from the drop-down menu at the top right of the page. Weight Limit 550 lbs. / 255 kg.